The last one week have to a large extent elevated discuss in Kwara State, with regards to governance, probity and how the privileged few have continually betrayed the people's trust. For some of us, who have been consistently and progressively insisting that transparency has for long been ostracised in our society, thereby leaving us at the mercy of the ruling hegemonic elite and their acolytes to toy with our fate as it pleases them, it was a breath of fresh air, the Kwara State House of Assembly rose up to investigate one of Kwara's most controversial establishment, Harmony Holdings. 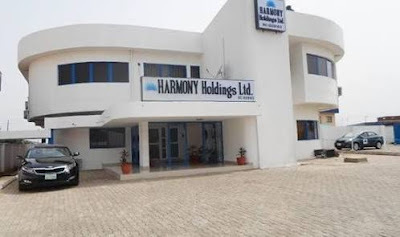 Amongst all Kwara State government agencies and parastatals, Harmony Holdings is arguably one of the most controversial in the face of average Kwarans, due largely to its activities, which are often shrewd in secrecy or half information. This has kept tongues wagging over its true ownership, rumoured corrupt practices, conversion of government properties to private use amongst other weighty allegations. It is not surprising that calls for the unveiling of the masquerade or masquerades (as the case may be) behind the veil, has always top discuss on the street. It was on this guise, Kwarans heaved a huge sigh of relief when the Dr. Ali Ahmad led House of Assembly succumbed to the vociferous and deafening voice of reasoning, from various quarters calling for a comprehensive probe into the activities of Harmony Holdings since inception till date. Therefore, on August 7th 2017, the House constituted an Eight man Ad-hoc committee led by Hon. Hassan Oyeleke, to unravel the mystery and allegations trailing Kwara's foremost asset management company. Prominent amongst it's mandates are collation of all assets transferred to Harmony Holdings, all public properties disposed off by Harmony Holdings, summary of funds received from the government and utilisation since inception, evidence of payment of federal and state taxes and other statutory deductions on all fees paid to directors, consultants and contractors from inception till date, the entire financial report from inception till date, dividends paid to Kwara State government since inception till date and Bank statements of account evidencing pre-operational expenses by Harmony Holdings limited September to December 2012. Others include, Board resolution on the sale of 12 Shehu Laminu property Kaduna and extract of Board meeting on report of Ad-hoc committee on Mr. Bayo Sanni, documents on sale of No. 11 catchment road to Mr. Bayo Sanni (board papers, approval, letter of application to purchase, lease agreement, agreement on sale of the property, lease agreement on properties at GRA (KIPDC and ED Global Concept, KIPDC and leisure links services, KIPDC and KW technologies ltd among others too numerous to mention. The House of Assembly committee room was filled to the brim on September 6th, 2017 with media practitioners invading the Assembly complex to witness the historic event, which was hoped will put to final rest the numerous mysteries and cloudiness as regards Harmony Holdings. The enthusiasm of journalists was however dashed and disbelief written over everybody's face when the committee Chairman, Hon. Oyeleke announced shortly after the commencement of sitting that journalist are henceforth barred from observing and covering the proceedings. However, as an investigative journalist, some of us was closely following proceedings through reliable and long term sources, the committee's report after having to wait for 6 months wasn't a surprise to close watchers. It reminded me of our days in primary school and our penchant for mathematical abracadabra where having sniffed the answer on the back of the Text book, all that matters to us is how to arrive at the answer, we usually employ conventional and unconventional route to arrive at a predetermined destination. The House with the power and access bestowed on it by the constitution, chose to massage its long bruised ego and settle political scores, as evidenced in the watery and often contradictory recommendations. That notwithstanding, the Oyeleke led committee after drawing public funds to tour some of the properties under Harmony Holdings in Abuja, Lagos, Kaduna and some parts of Ilorin metropolis, all they could come up with is a watery resolution which are largely contradictory. While I still maintain my age long notion that Harmony Holdings have not been sincere in information dissemination about its activities, this also gave some of us the strong believe that something sinister might be amiss, the house would have helped some of us make informed decisions with a thorough investigation. I'm however more confused as to the true status and happenings in Harmony Holdings and that is why it's my humble believe that this investigation and eventual report are nothing but a political gymnastics by amateurs, who got carried away with vendetta. Ironically, the gymnast belong to the same political family that has held Kwara's growth on the jugular for decades, I dare say not until we have people of impeccable integrity at the House of Assembly, we'll continue to speculate and second-guess the true situation of things as regards Harmony Holdings, one can't but bemoan the lost opportunities thrown away. Akanbi Olusola Ibrahim is the Publisher of Sahel parrot, he writes from Abuja.